WE STRIVE TO CREATE PERSONAL SPACES OF UNCOMPLICATED ELEGANCE AND BEAUTY. JBS IS A SMALL TEAM THAT WORK ON DIVERSE PROJECTS IN THE UK AND OVERSEAS. WE ENCOURAGE A HANDS ON APPROACH, STRONG CRAFTSMANSHIP AND A RESPECT FOR THE PEOPLE, PLANTS & MATERIALS WE WORK WITH. THERE IS A CALM, FLUENT AESTHETIC IN OUR LANDSCAPES. REFINED YET LIVEABLE, ‘WEARABLE’ AND SYMPATHETIC OUTDOOR SPACES FOR PEOPLE TO BE. 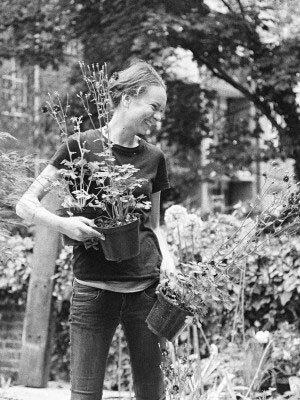 JOH COMPLETED A HORTICULTURAL APPRENTICESHIP AND WORKED AS A GARDENER BEFORE TRAINING AS A LANDSCAPE ARCHITECT. SHE HAS WORKED ALONGSIDE CHRISTOPHER BRADLEY-HOLE, BRITA VON SCHOENAICH (BHSLA) AND TODD LONGSTAFFE-GOWAN IN LONDON AND MIRANDA BROOKS IN NEW YORK.